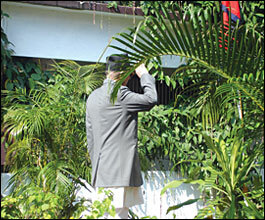 "I will resign after elections"
LONELY AT THE TOP: Prime Minister Koirala saluting the flag on arrival at his ancestral home in Biratnagar last weekend. Prime Minister Girija Prasad Koirala's idiosyncrasies are not a secret. He doesn't bother to respond to criticism anymore. He thinks he's now above it all. He seldom talks to the press in Kathmandu. But once he gets to his ancestral home in Biratnagar, he doesn't stop talking. It is in Biratnagar over tea that Koirala drops his bombshells. Last week, one member of the press corps took the prime minister's hospitality a bit too far and climbed up to the verandah of his bedroom. "Get out of here," yelled the police. "Who does he think he is," the journalists muttered. Next morning, the prime minister sat on a white sofa, looking much more relaxed than he ever looks in the capital. Reporters tattled to the prime minister about the police chasing them off the verandah. An aide jumps to the defence of the policeman. Koirala waves the words away and quips: "Journalists are always right." Laughter. After 15 minutes, the prime minister says with finality: "That's it for today. Tea for everyone." As the reporters get up to leave, Koirala gestures to the stragglers to gather around. The Maoists are hinting at removing Koirala if his party doesn't follow parliament\'s directives, so this may be the scoop everyone was waiting for. But all he says is: "Next week's winter session of the parliament will be a peace session." 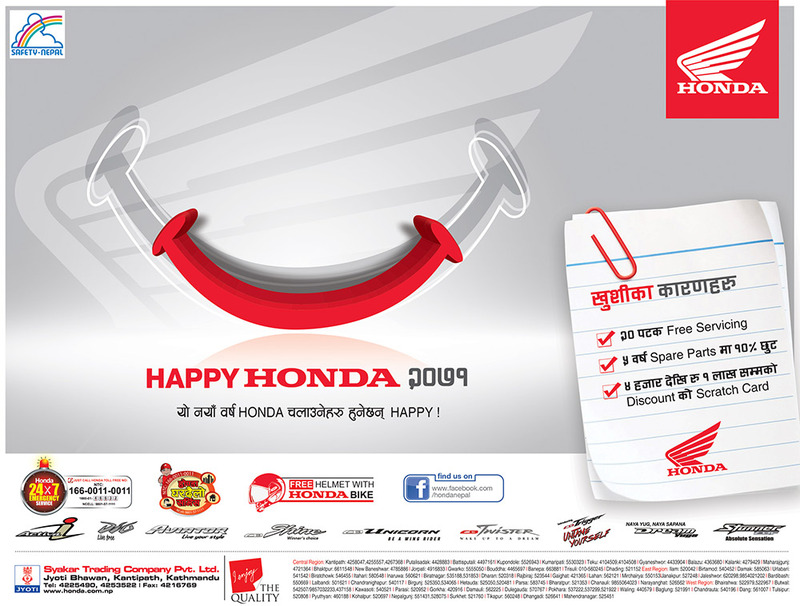 The real news comes the next day when it's the turn of the people to interview their prime minister in a public meeting organised by the BBC World Service Trust\'s Sajha Sabal series. "I'll resign after elections," Koirala says in answer to a question from a grade nine student, Pramod Yadav. He dismisses rumours of a coup, and says fellow politicians were becoming paranoid about foreign interference. Prakash Karna, a grade 10 student, asked the prime minister why he didn't overthrow the king. We have to do it peacefully and legally, answered the prime minister. The most impassioned questions were about the madhes, and Koirala got an earful from people suffering from the violence. At one point, he had to calm down an overwrought member of the audience. "I'm also from the tarai," said Koirala with an 'Ich bin ein Berliner' refrain, adding that the madhes crisis could be solved "in minutes" if India and Nepal worked together. On holding elections, he admitted the seven parties had failed, but added: "We will decide on a new date and I will have it approved by the parliament." Sajha Sawal will be aired on BBC Nepali service on 18 November.